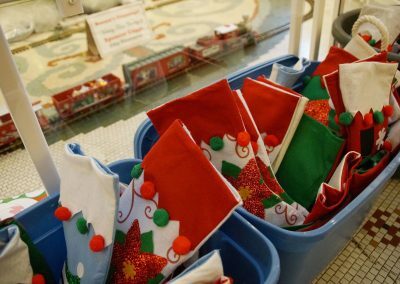 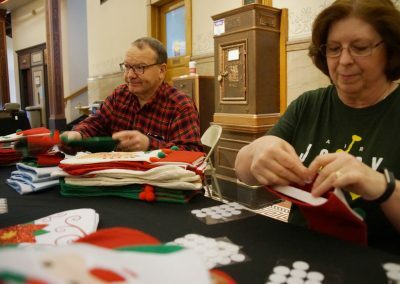 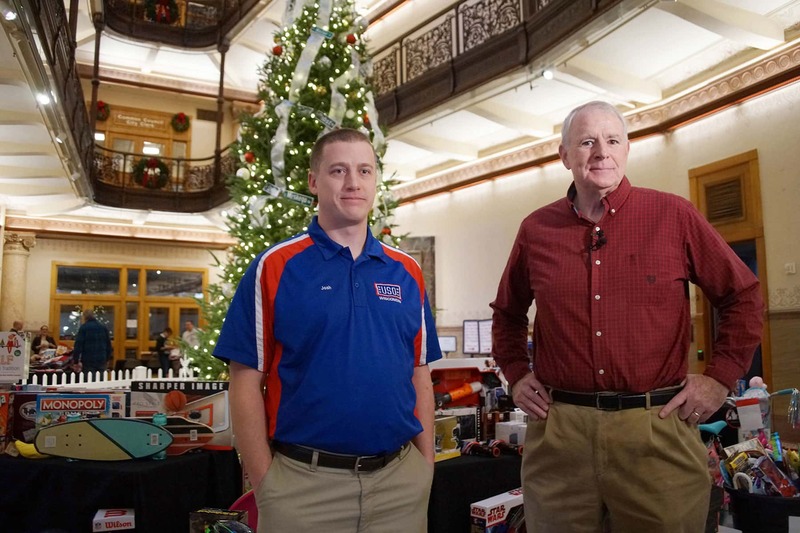 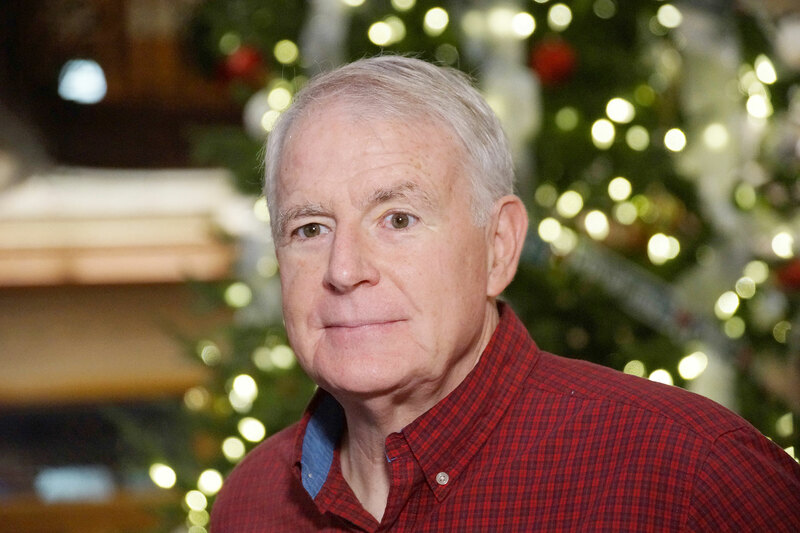 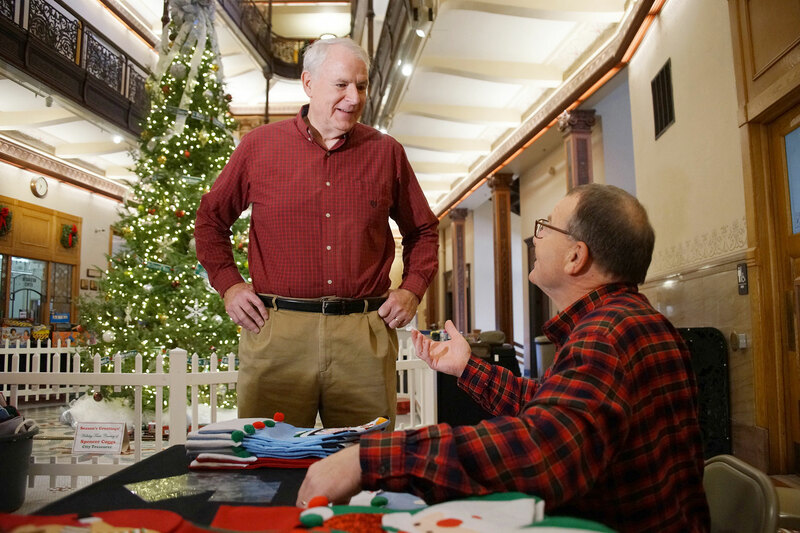 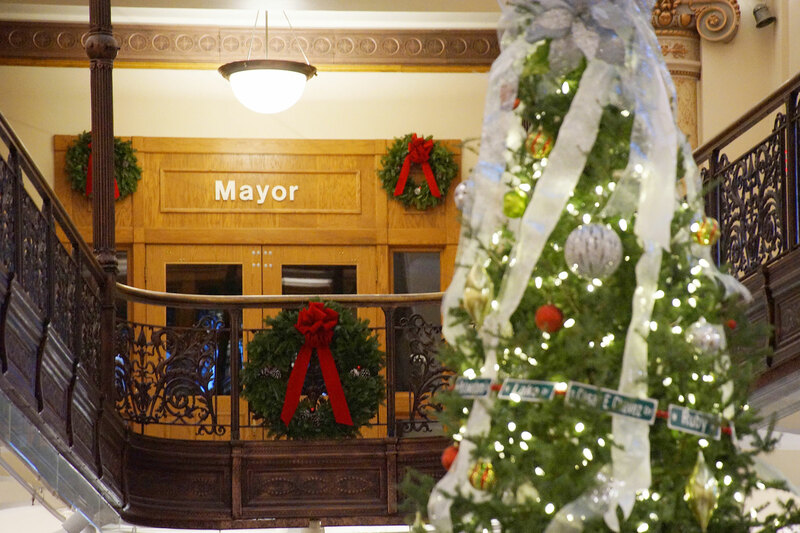 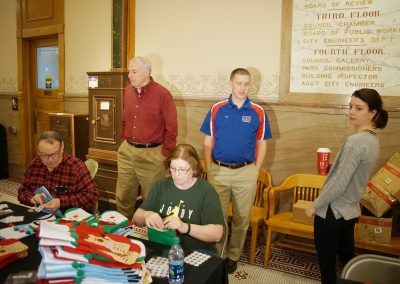 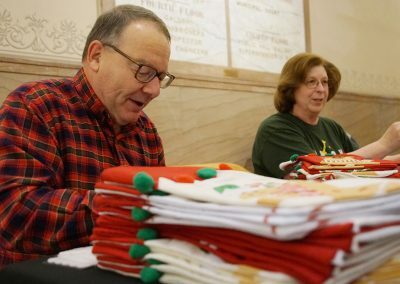 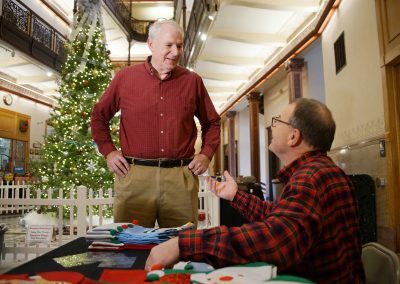 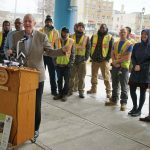 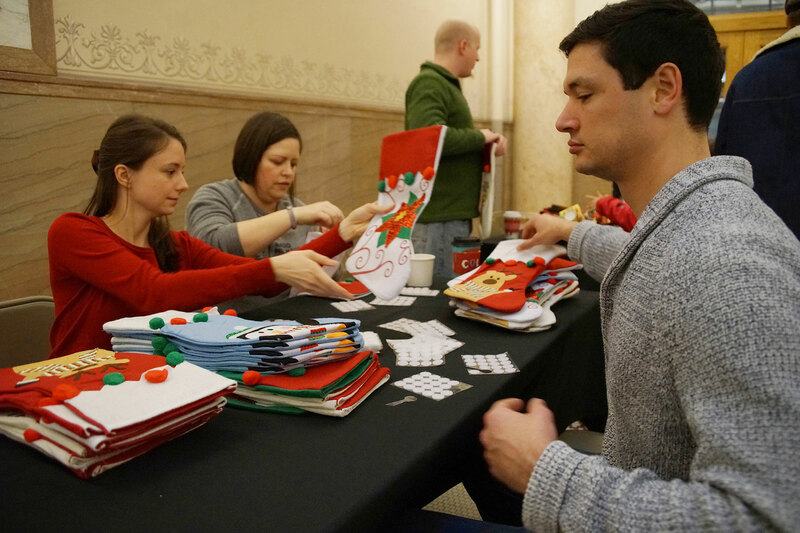 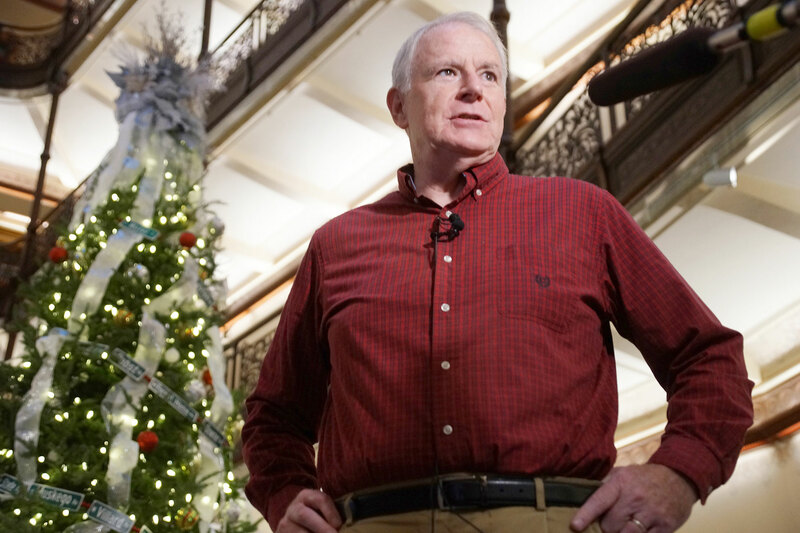 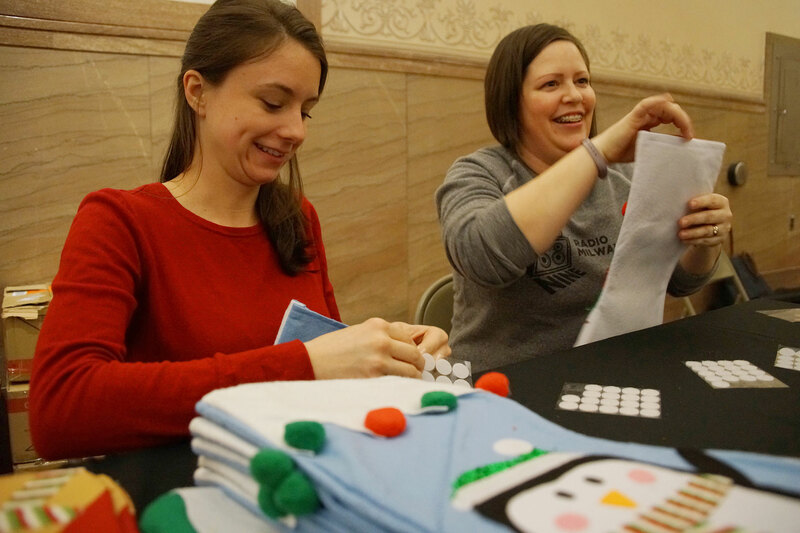 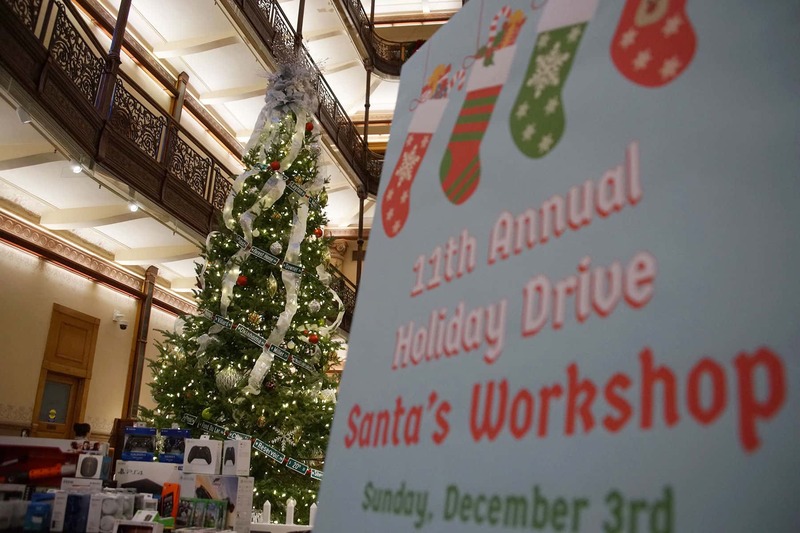 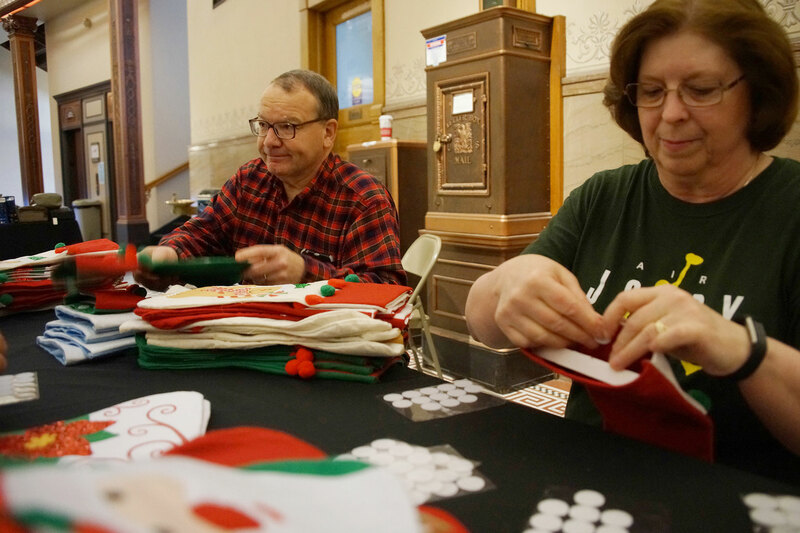 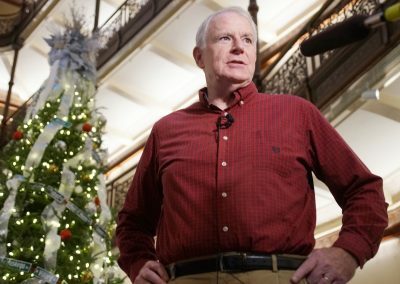 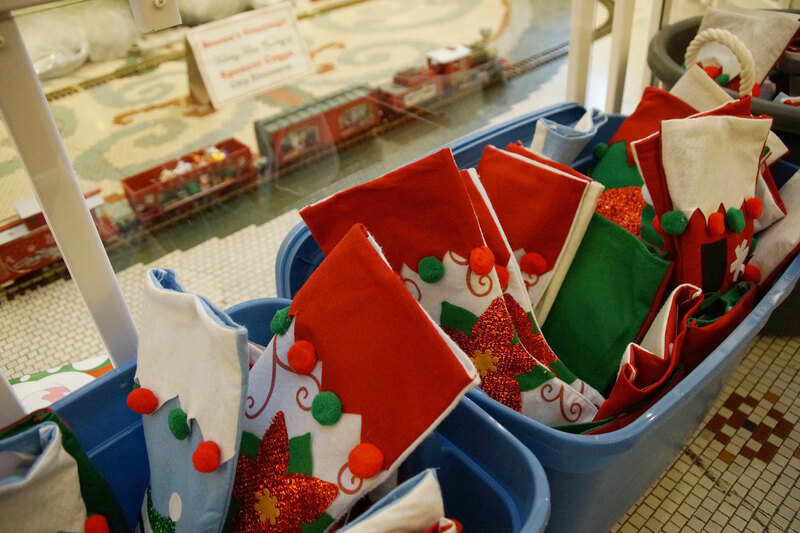 Mayor Barrett visited City Elves in the Santa Workshop Annex of Milwaukee City Hall on December 3, as they stuffed stockings and prepared for gift deliveries from this year’s Holiday Drive. 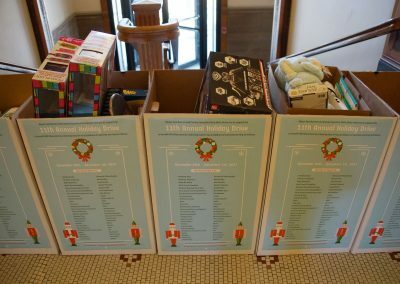 The 11th Annual Holiday Drive kicked off collections across the County on November 20 and concluded December 1. 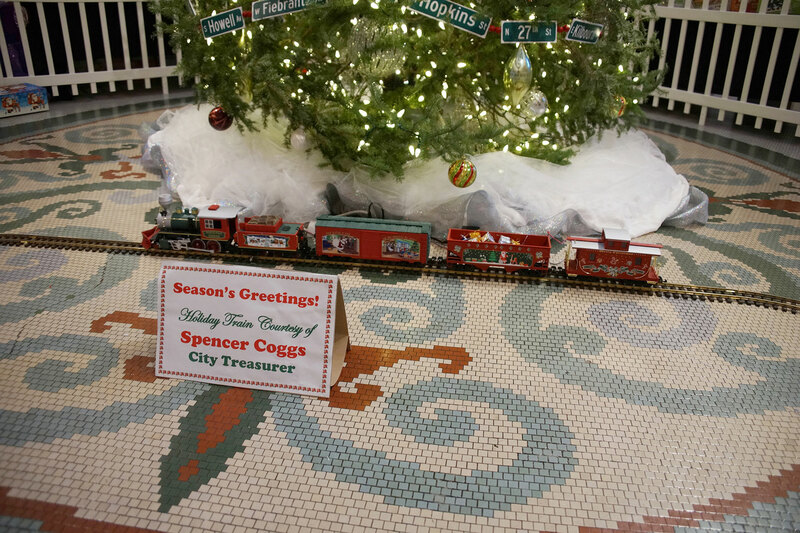 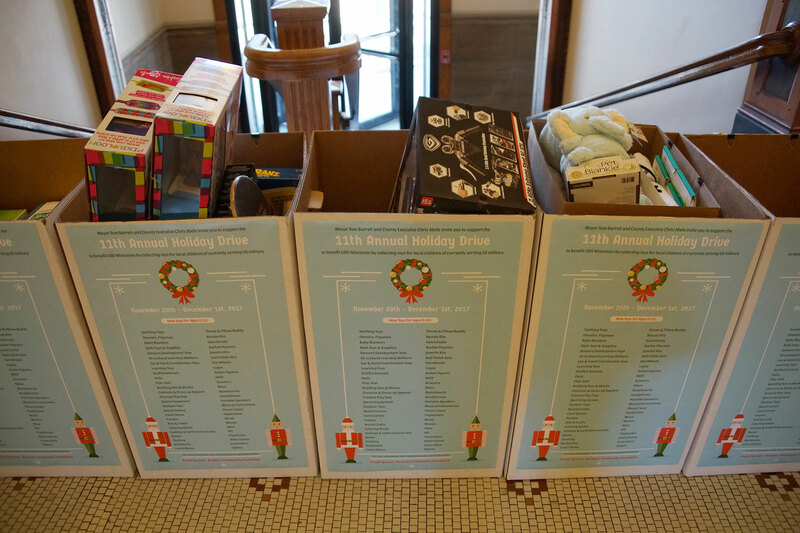 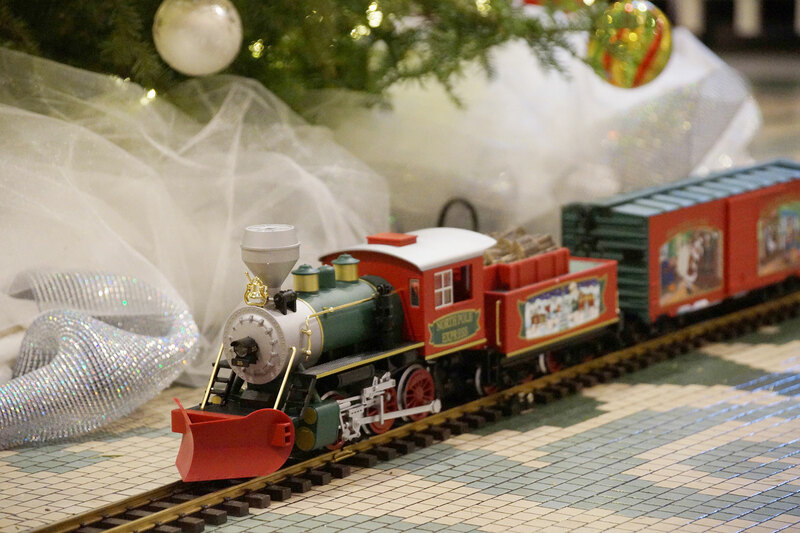 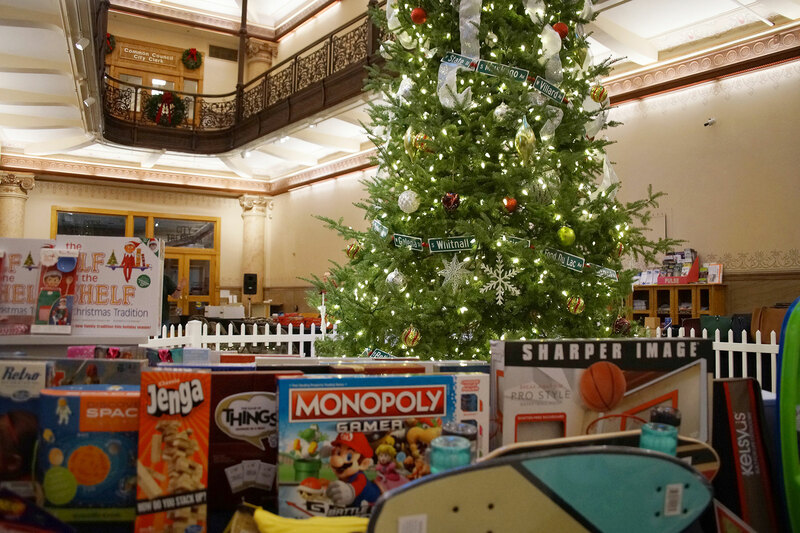 This year’s efforts support the USO Wisconsin by collecting toys for the local children of military service members. 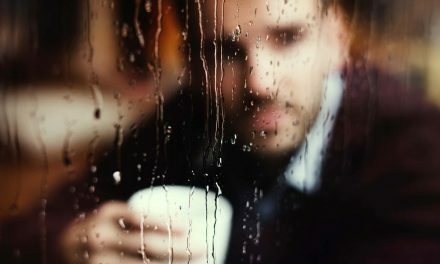 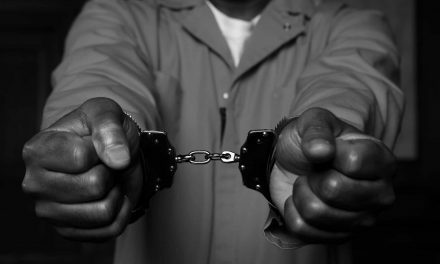 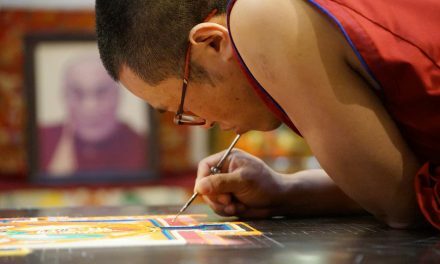 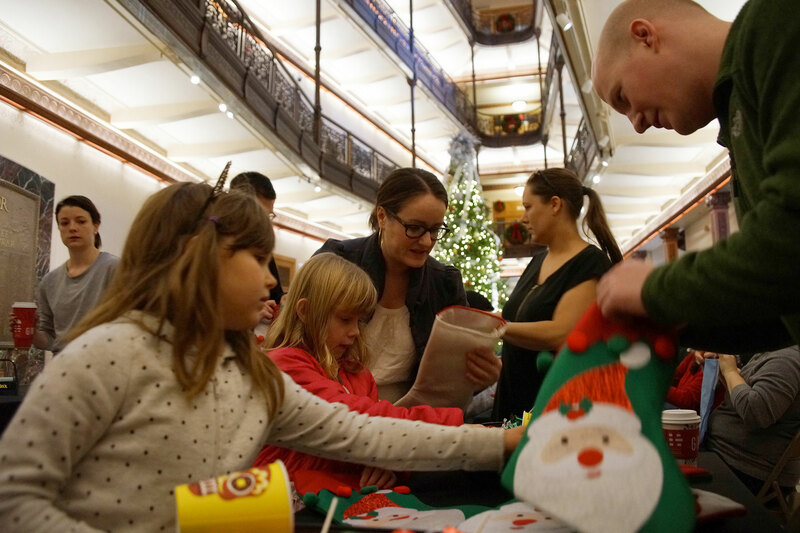 The effects of war can extend far beyond the deployed service member. 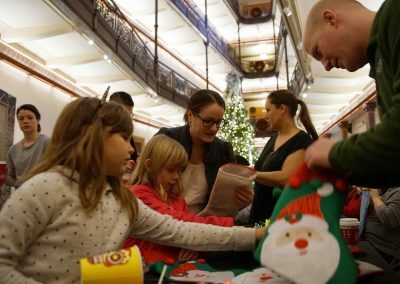 Military families face a number of challenges before, during and after deployment. 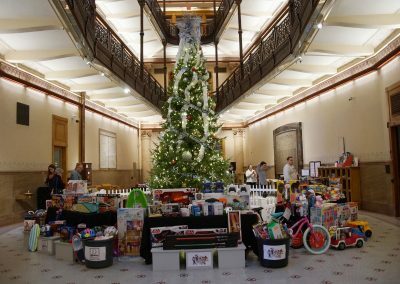 This years Holiday Drive shows the public’s appreciation, by easing the burden of the holiday season and lifting the spirits of our troops and families. 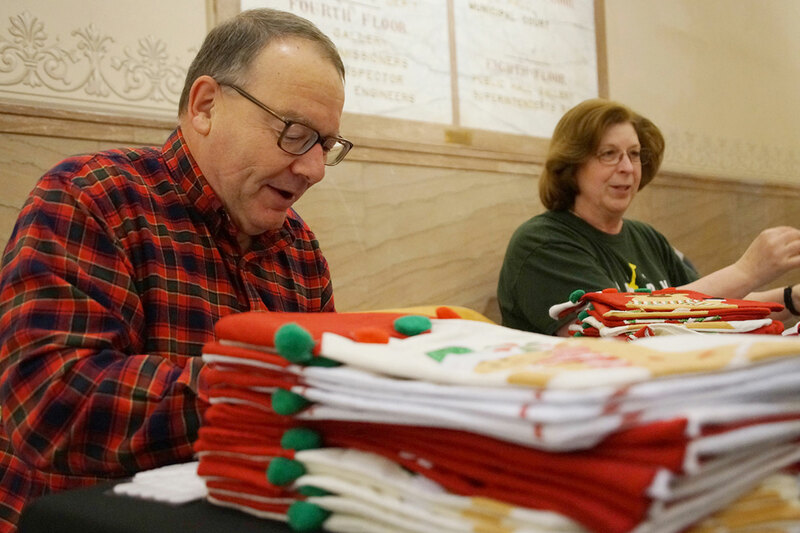 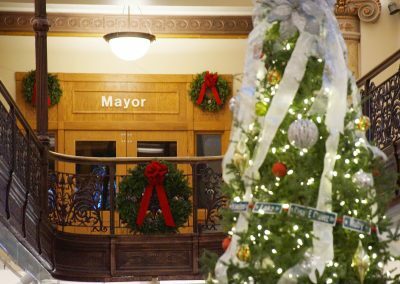 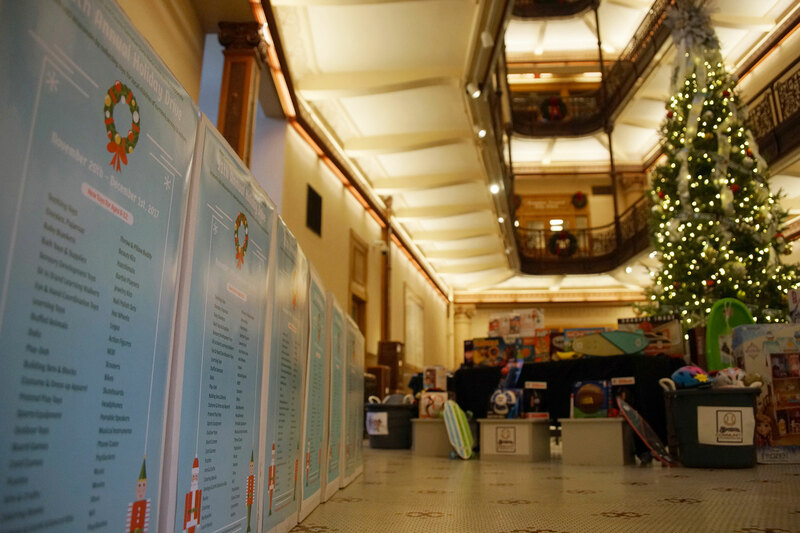 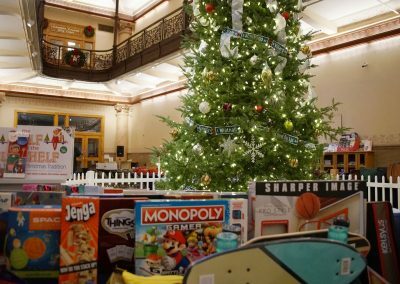 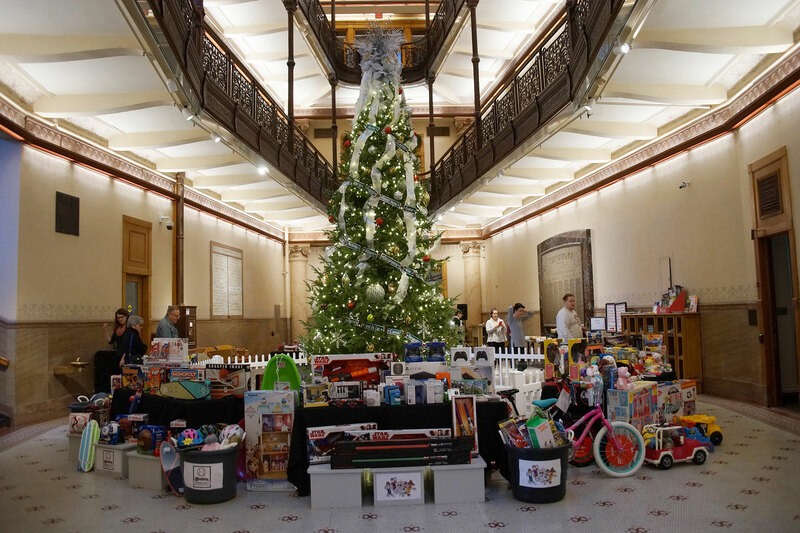 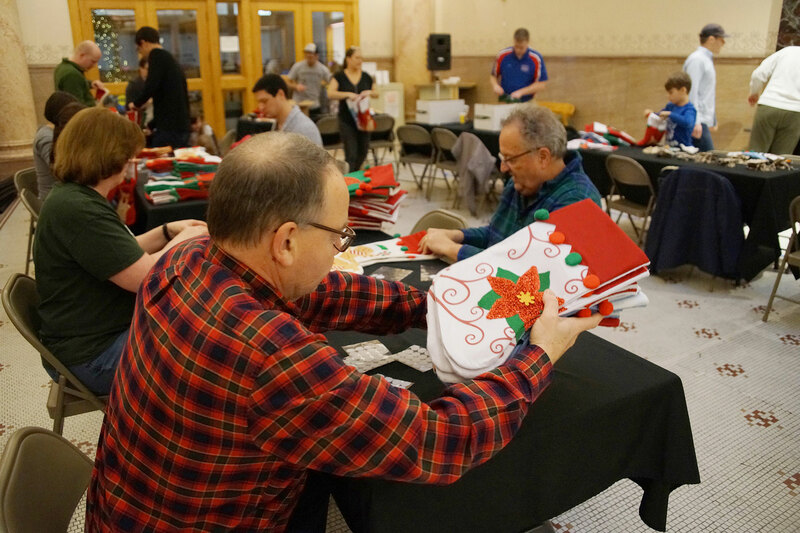 County Executive Chris Abele joined forces with Mayor Barrett again this year to make the holidays brighter for members of Milwaukee’s military servicemen and women. 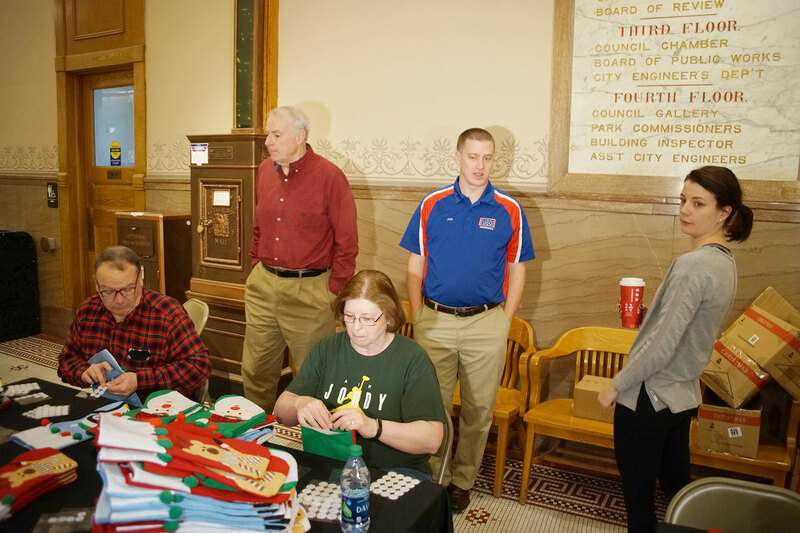 Along with community partners and city employees, local residents have risen to the challenge and collected thousands of toiletries, snacks, goodies and more to help bring a little holiday cheer to those defending our country since 2007. 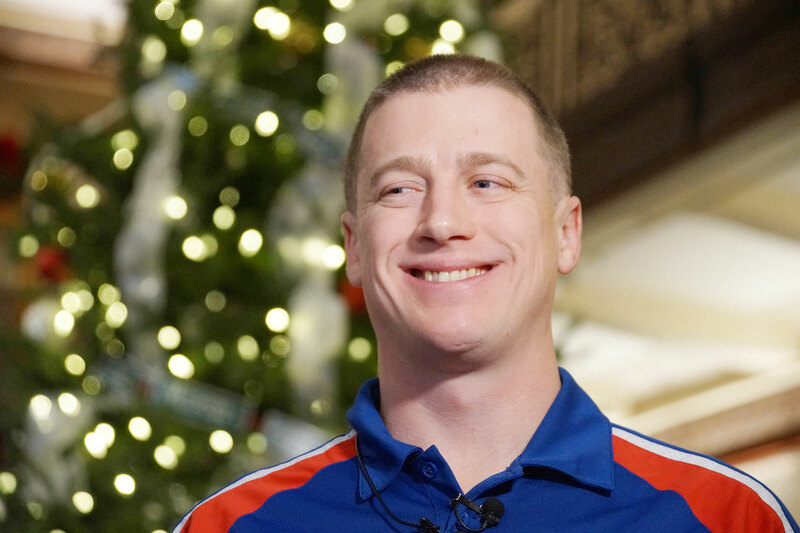 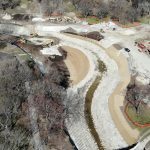 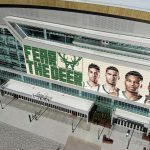 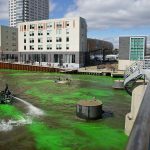 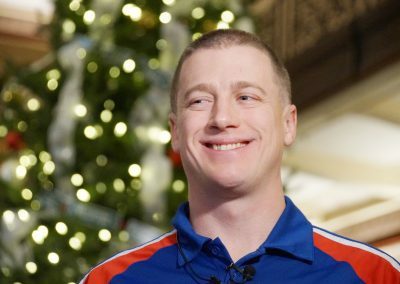 The drive began as a way for the City of Milwaukee to share their gratitude with Wisconsin troops who were far away from their homes during the holidays. 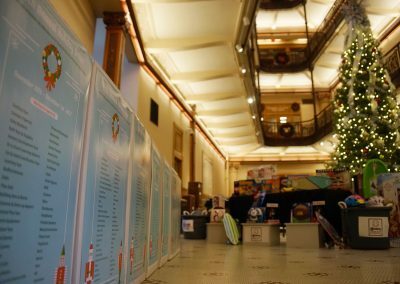 More than 2,000 goodie-filled boxes were shipped to Wisconsin troops serving our country overseas in places like Iraq, Afghanistan and Kosovo. 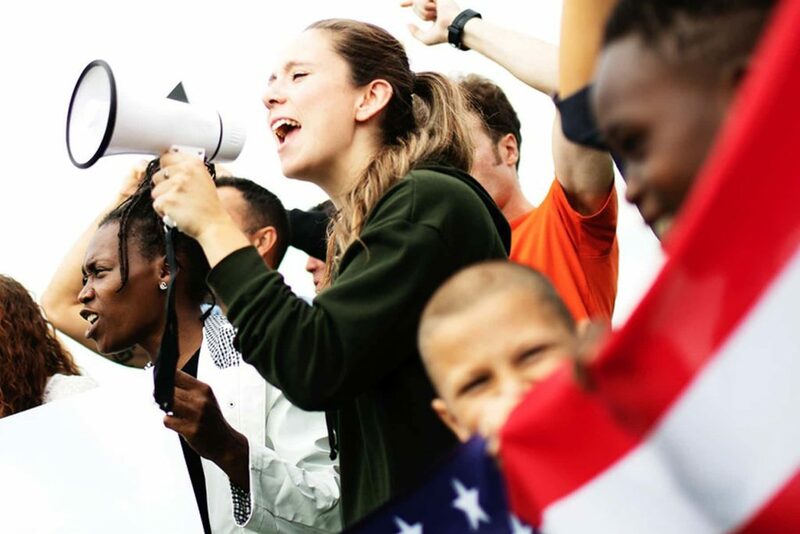 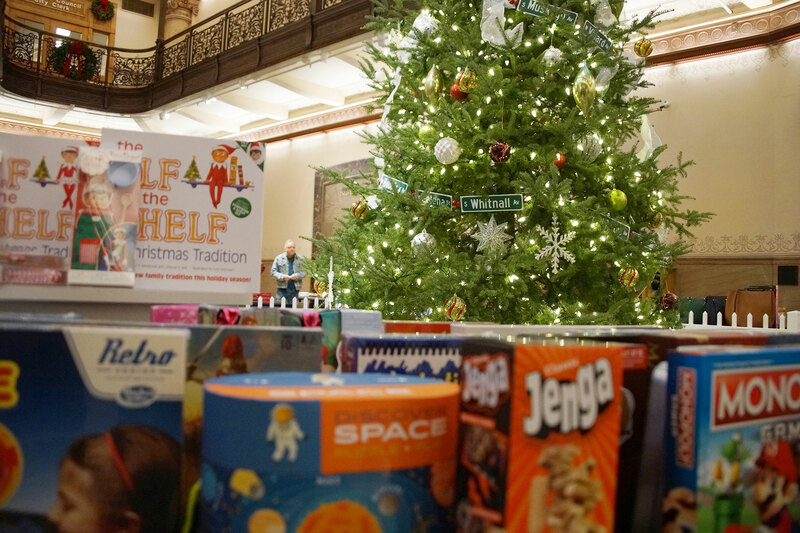 In 2013, the Holiday Drive expanded to include an additional focus on veterans. 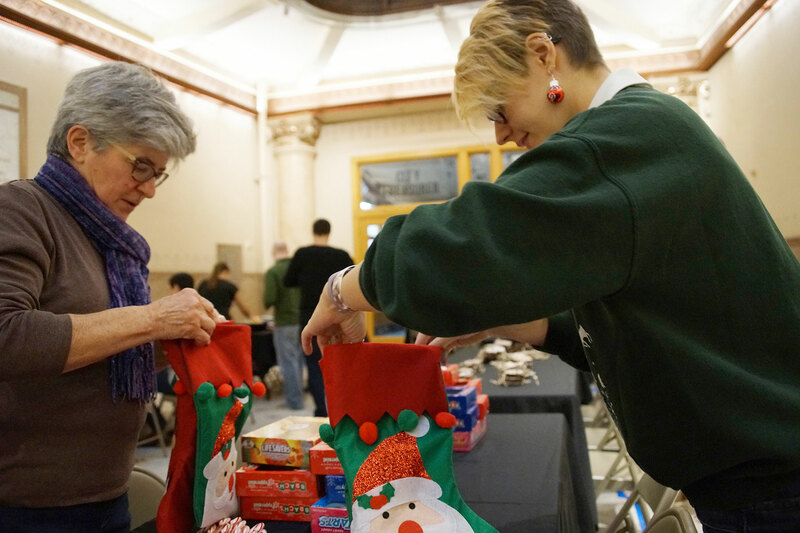 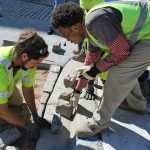 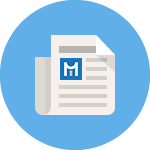 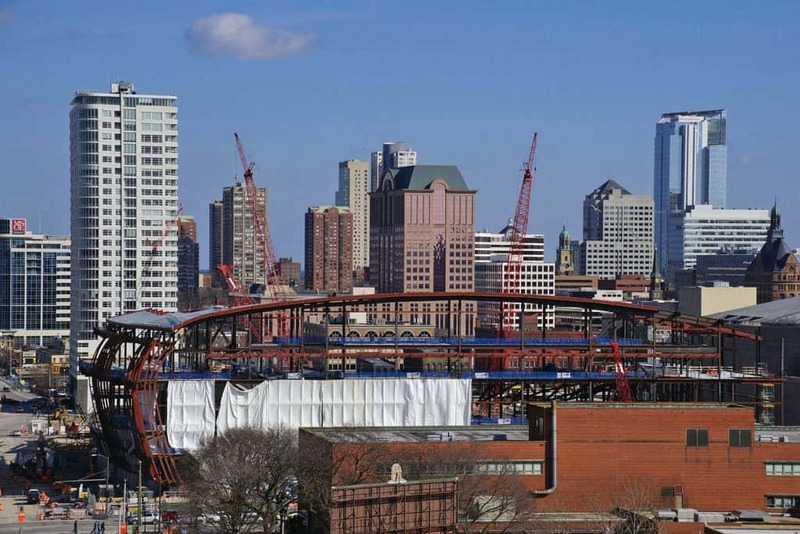 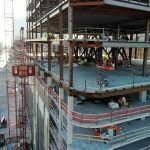 With more and more troops returning home from overseas service, the City of Milwaukee and Milwaukee County formed a partnership to support hundreds of veterans and their families in the greater Milwaukee area. Hundreds of complete home starter kits were provided for the Milwaukee Homeless Veterans Initiative and patients receiving care at the Clement J. Zablocki VA Medical Center. 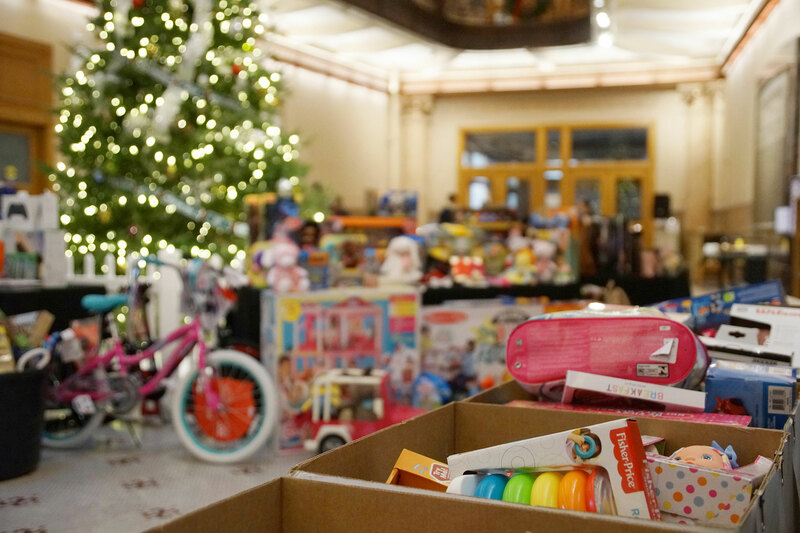 The toys will be delivered to the children at USO Wisconsin’s Christmas party on December 9. 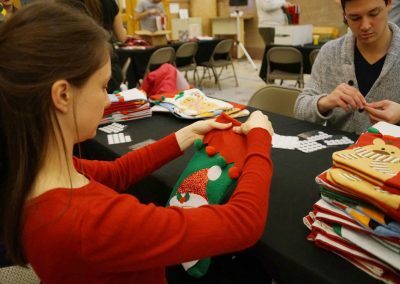 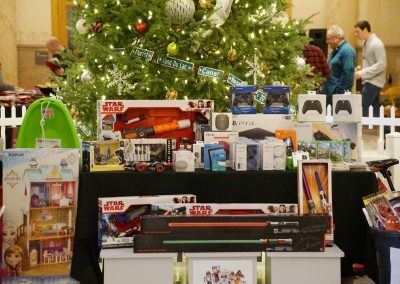 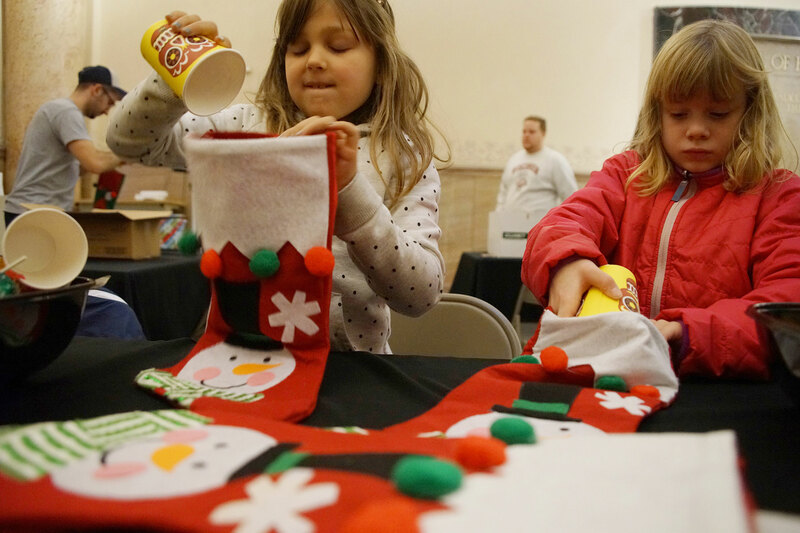 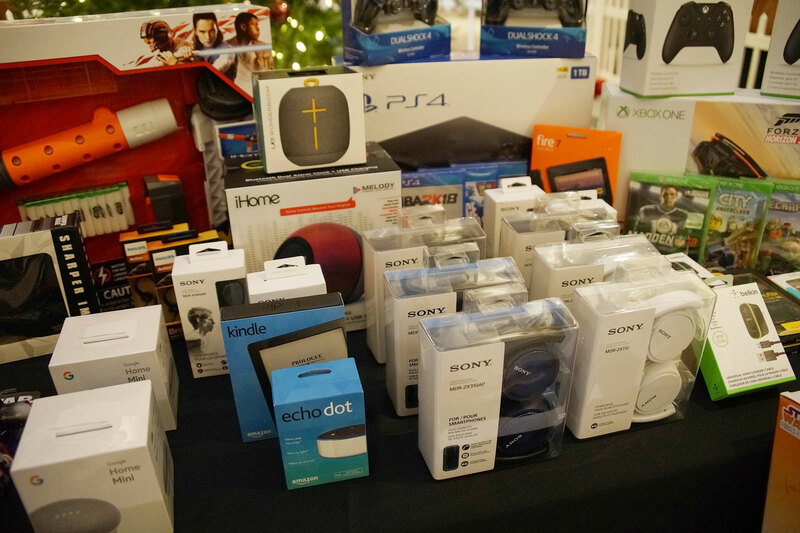 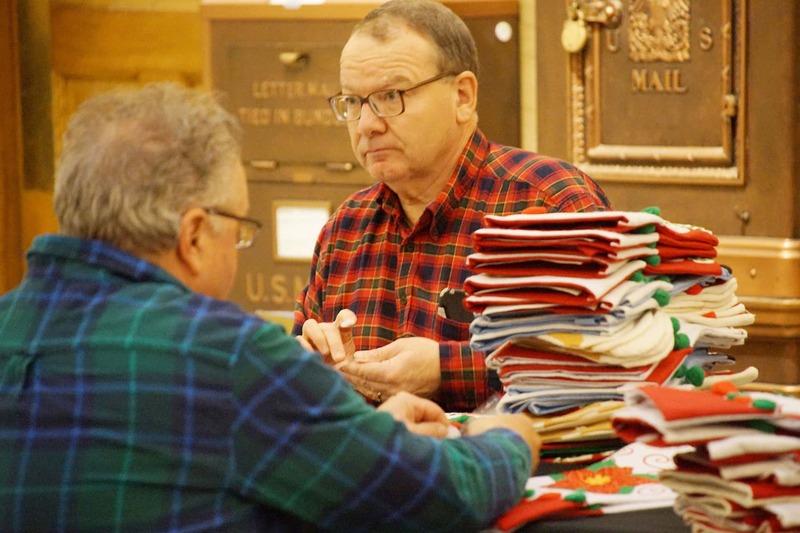 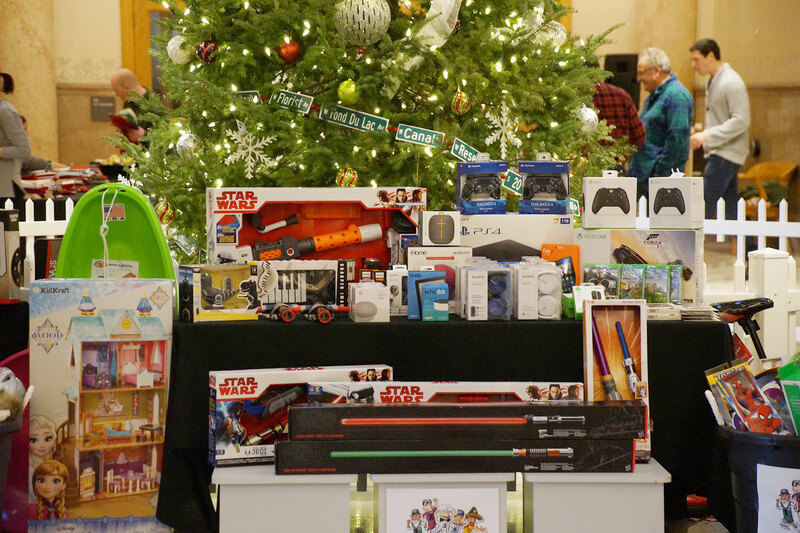 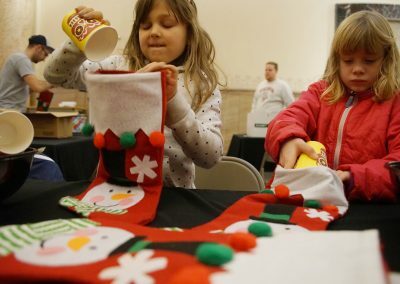 Held at the Milwaukee County War Memorial, the 4th annual “Operation Christmas” provides assistance to military families during the holidays. 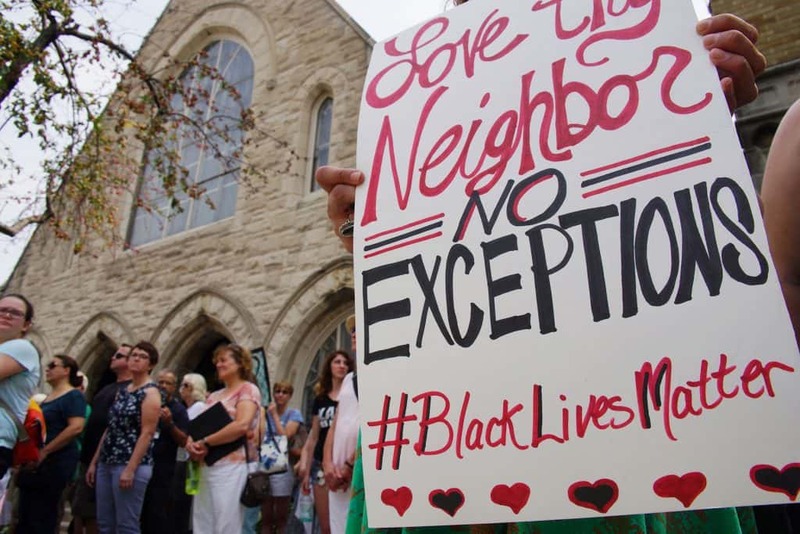 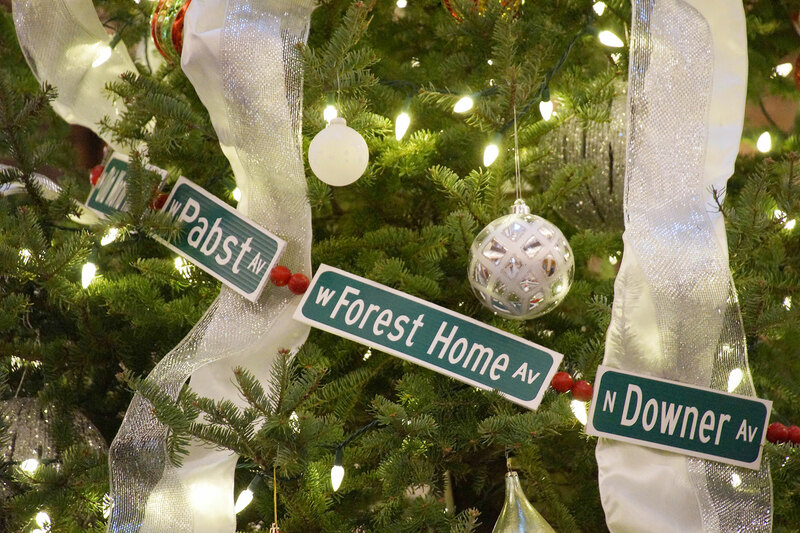 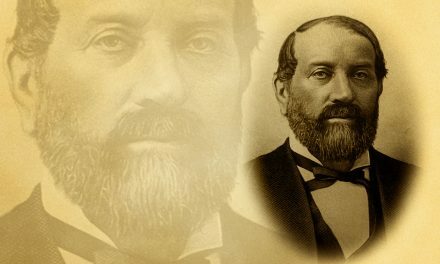 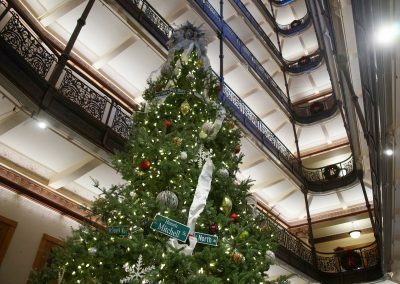 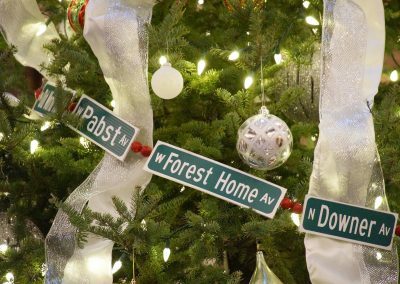 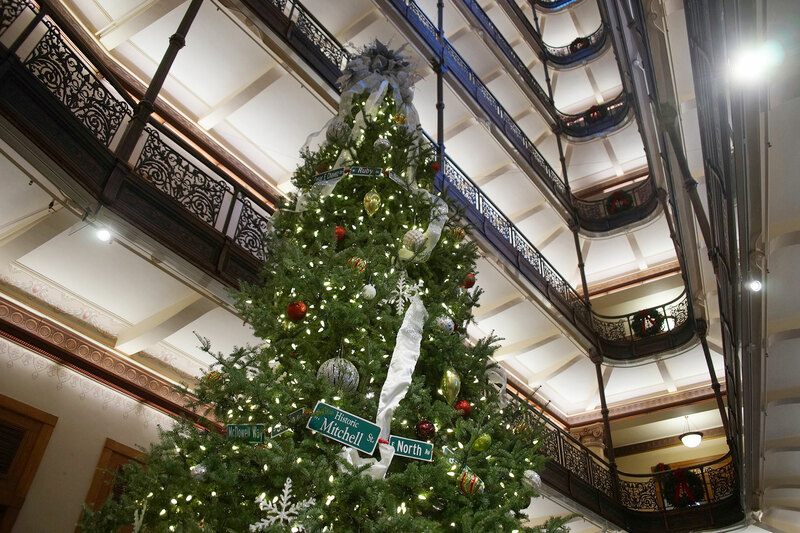 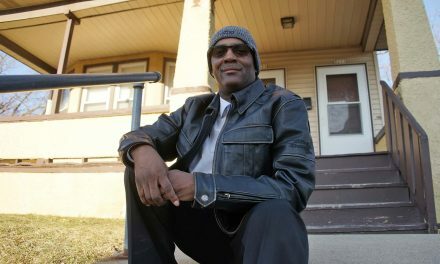 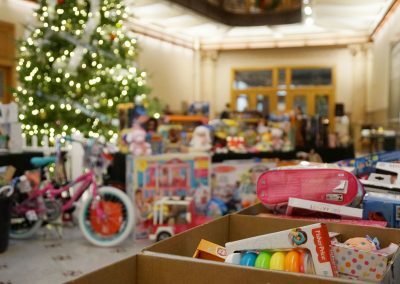 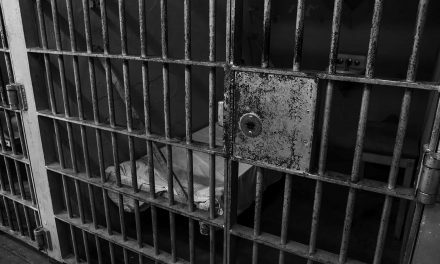 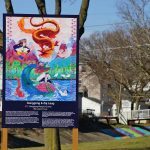 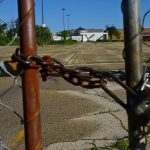 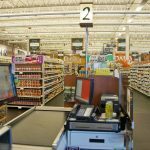 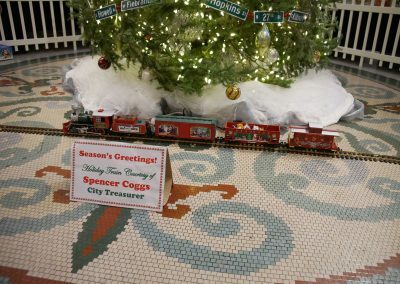 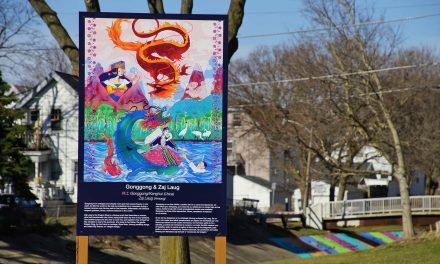 Without the event, many Milwaukee families would be unable to celebrate Christmas.